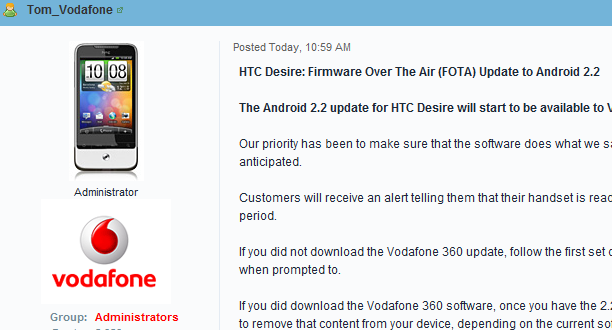 This morning on Vodafone’s forums, a VF employee announced that the Froyo update for the HTC Desire would be rolling out on Monday. We knew it was coming soon - on August 12, we relayed that they expected it to roll out in 7-10 days - sans crapware. The update is rolling out a bit later than expected (August 23 would be 11 days) because they wanted to make sure they’d worked out all the kinks. 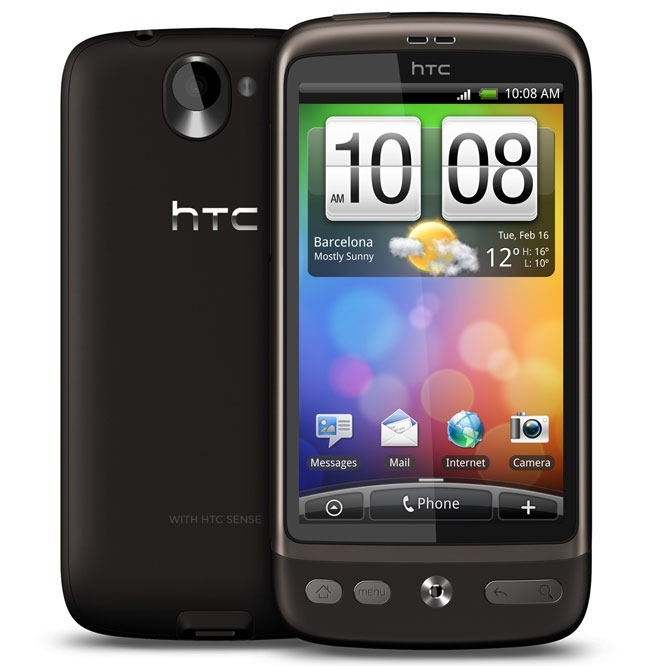 After Vodafone deployed an HTC Desire update last week that was full of crapware, customers responded with understandable anger. After initially standing firm on the crapware (“Vodafone 360”), Vodafone has now backed off and will remove it with the next update. The next update? Vanilla Froyo - and it’s coming in 7-10 days. The surprising thing here is that the update will apparently be an unmolested version of Android 2.2 - something they elected not to do with their Nexus One update.